Long-term disability benefits exist to help injured workers during an already difficult time. When those benefits are denied or discontinued unfairly, it is natural to feel frustrated and confused. At the Ortiz Law Firm, our experienced legal team takes on the insurance companies to help individuals and families obtain the compensation they need. Get started with us today by finding the information you need on our FAQ page. The key to an ERISA disability benefits claim is make sure to follow all required steps in the administrative process. Claimants must “exhaust” their administrative remedies before filing a lawsuit. Failure to exhaust one’s administrative remedies may result in significant limitations on the standard and scope of court review in a lawsuit. This is why everything you do in the the administrative claims process may determine whether you are ultimately successful in your claim should you have to go to court. Step One is to bring a claim to the plan administrator. A claim is a “request for plan benefit . . . made by a claimant in accordance with a plan’s reasonable procedure for filing benefit claims.” 29 C.F.R. §2560.503-1(e). As set forth in Abdel v. U.S. Bancorp, 457 F.3d 877 (8th Cir. 2006), a claim for benefits is made when claimant seeks benefits. Compare another case, Layes v. Mead Corp., 132 F.3d 1246 (8th Cir. 1998, wherein the court decided that there was no claim for benefits until formal procedures for filing claim are satisfied. Typically, an application for benefits consists of three parts: (1) an application with detailed information from the claimant, (2) detailed information from the employer, and (3) the attending physician statement. Failure to complete any of these forms can be fatal to a claim. In the case Mitchell v. Equitable Life Assur. Soc’y of U.S., 310 Minn. 219, 224, 245 N.W.2d 618-620-21 (1976), the claimant was barred from filing suit for failing to supply the employee’s statement and physician’s statement. There is also usually a requirement of timely notice of claim and a proof of loss or proof of claim consistent with your state’s insurance laws. However, late notice will usually only bar a claim where there is prejudice to the plan’s insurer. The notice prejudice rule that applies to an insured ERISA plan was set forth in UNUM Life Ins. Co. of America v. Ward, 526 U.S. 358, 369 (1999). 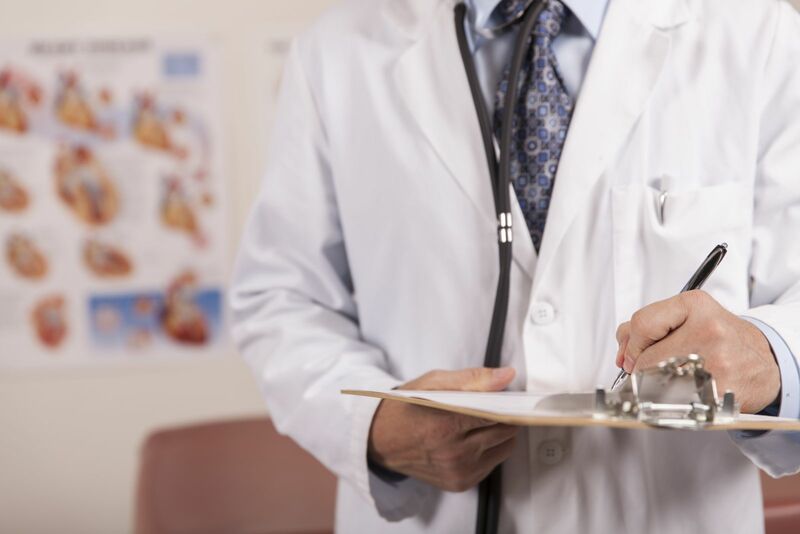 Can a Doctor’s Letter Win a Disability Case or Get You Approved For Benefits? A letter from your personal doctor or physician that states you are disabled and unable to work will not guarantee that your long term disability (LTD) claim will be approved. However, depending on the form and substance of the letter, such a letter can greatly improve your chances of being approved. In most LTD cases, generic letters from physicians will have little impact on the insurance company’s disability decision. This is due to the fact that doctors submit letters that are so short and lacking in detail in most cases that the letter’s value to a disability examiner is practically non-existent. For example, if all the doctor does is summarize your medical diagnoses and conclude that you are disabled and unable to work, then that letter will not assist the claims handler in understanding why you are unable to work. Unfortunately, this type of letter is the most common one we see from disinterested physicians. So what makes a good letter? We know that a detailed statement from a doctor who is knowledgeable about a claimant’s medical problems can make all the difference as to whether or not a disability claimant is approved for disability benefits. A good statement goes beyond reciting the patient’s medical diagnoses and gives an opinion as to the patient’s resulting functional limitations. This type of statement is called a “medical source statement” or “residual functional capacity” evaluation. These medical source statements help in the evaluation process because most insurance company claims adjusters are not medical professionals. They rely on the medical professionals to identify the claimant’s level of impairment; therefore, adjusters give weight to detailed opinions of medical professionals, particularly those who are directly involved in the claimant’s medical treatment. The claims examiner should accept a treating doctor’s medical source statement as true and accurate unless they have good reason to reject it (such as where the doctor has no credibility or is not a specialist familiar with the claimant’s particular illness or injury). specifically assess the claimant’s physical capacity or mental capacity and the physical or mental limitations that result from the claimant’s medical condition and problems. The statement should explain why the patient has certain limitations (for example, the patient cannot stoop because of a herniated disc in the back), and also be support by the medical evidence on record in the claim (for example, include an X-ray or MRI showing degenerative discs). There is a form that accomplishes these goals, known as an RFC form. (RFC stands for residual functional capacity.) To learn more about RFC forms and to download one you can give to your doctor, see our downloadable RFC page. What is the difference between individual disability policies and group disability policies? The major difference between individual and group policies is that individual policies are underwritten with respect to the individual purchasing insurance coverage, while group policies are not individually underwritten. Instead, group policies are issued by disability insurance companies based on certain underwriting assumptions related to the general health of a group of people. Individual policies are typically bought and paid for by the insured, separate and apart from an employer. Group coverage, on the other hand, is usually offered by an employer or union, and the premiums are paid (in whole or in part) by the employer. There may be circumstances where an employer will purchase and pay the premiums for an individual policy on behalf of an employee. Conversely, an individual may personally obtain group LTD coverage unrelated to his or her employment by joining a group which has group coverage available for its members. My employer offers me LTD coverage as a fringe benefit cheaper than I can buy it on my own. Is the group coverage the same as if I bought my own individual disability policy? No. They are not the same. It is almost always better to have an individual policy over a group policy. First of all, the monthly benefits are tax-free if you pay the insurance premiums yourself. If the premiums are paid by a business employer, you may have to pay tax on the benefits. Moreover, if the insurance company does not pay a claim, your legal rights are very different with an individual policy than with a group policy. In short, your legal rights are much more favorable with an individual policy than with a group policy. For these reasons, you should purchase an individual policy over a group policy. I already have a good health insurance policy. Do I need really need disability insurance? Your health insurance pays for your medical bills, but what about your other monthly expenses in the event that you are unable to work due to a disability? Disability insurance is meant to be a wage replacement in such cases where you cannot work due to a disability. An individual disability policy will typically pay you sixty percent (60%) to seventy percent (70%) of your monthly earnings leading up to the onset of your disability. You can purchase coverage that will cover you so long as you cannot perform the substantial duties of your own individual job, and you can buy coverage that will cover you for two (2) years, five (5) years, or until retirement age (typically age 65). So the answer is Yes, you should buy as much coverage as you can. When is an insurance company considered to have committed a “bad faith” denial of a disability claim? the insurance company unreasonably delays payment of benefits or pays less than the full value of benefits owed under the policy. If your long-term disability claim is governed by ERISA, then you cannot sue for bad faith or punitive damages. This is because ERISA is a federal law that pre-empts state law claims such as bad faith and punitive damages. You can only sue for the benefits due. Without legal guidance from an attorney, claimants may unknowingly hurt their ability to prove the insurance company’s bad faith. For example, the claimant may allow the insurance company multiple opportunities to deny the claim by filing multiple appeals when multiple appeals were not required before making the carrier accountable in a lawsuit. As stated above, whether to appeal is a decision that you should make only after consulting with an experienced disability attorney. Why hire the Ortiz Law Firm? The Ortiz Law Firm is dedicated to compassionate client service and outstanding results. Mr. Ortiz has a decade of experience in representing disability claimants in seeking benefits. The Ortiz Law Firm is not a “mill” firm that will represent just anyone that calls. The Ortiz Law Firm accepts approximately one in ten applicants that request legal assistance. Mr. Ortiz has the support of a paralegal and an office manager, working together to deliver the highest level of legal representation. If you have questions that are not covered in this section of LTD “Frequently Asked Questions,” call us at 850-308-7833. Do I need a lawyer in my LTD claim? ERISA is a framework of complex federal laws, regulations, and case law that apply to group disability claims. Most attorneys, including those who handle Social Security disability claims, do not have the knowledge or experience to properly handle an ERISA-governed LTD appeal or federal lawsuit. A general practice attorney may miss administrative deadlines or fail to address critical issues in the appeal process. Unrepresented claimants risk making the same mistakes. So my recommendation is Yes, you should consult with a lawyer in your LTD claim.